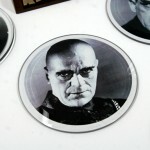 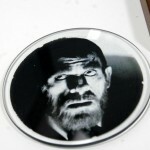 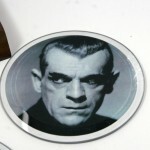 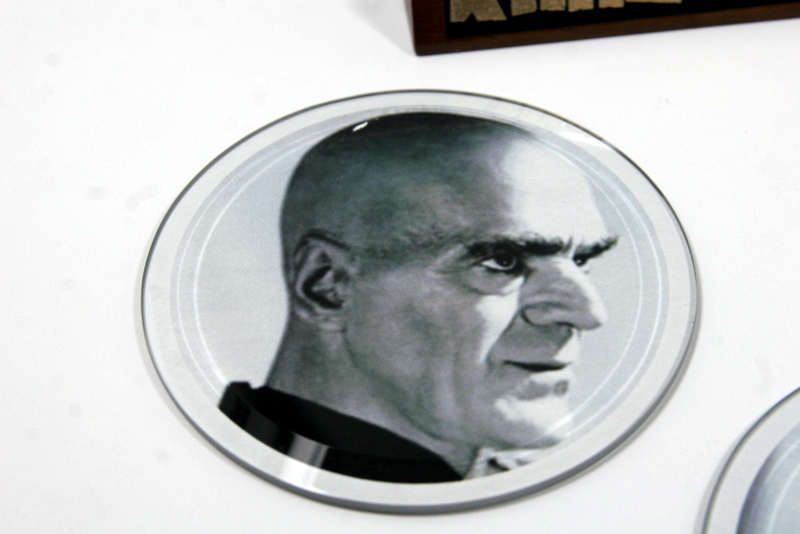 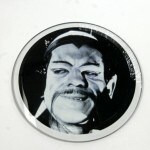 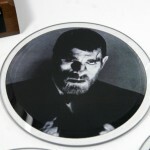 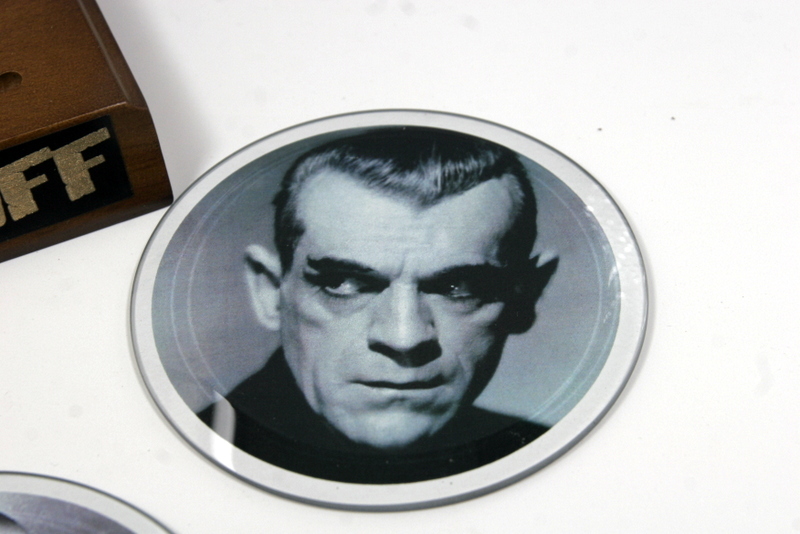 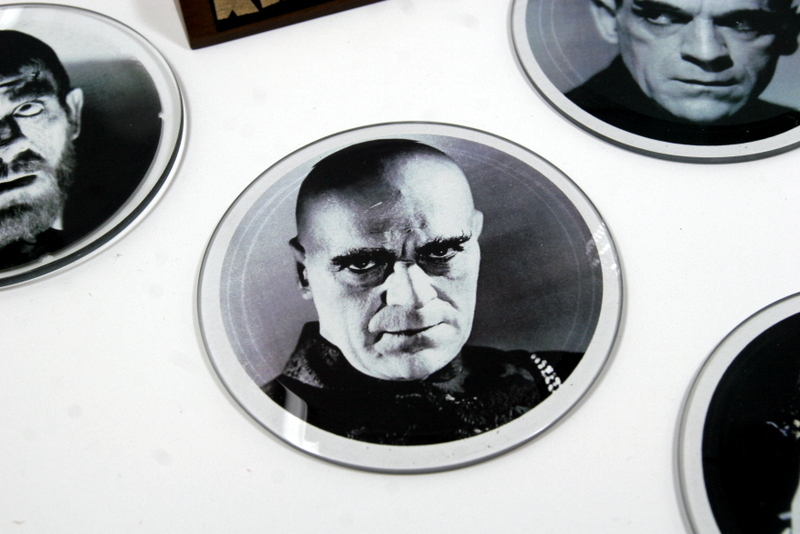 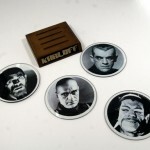 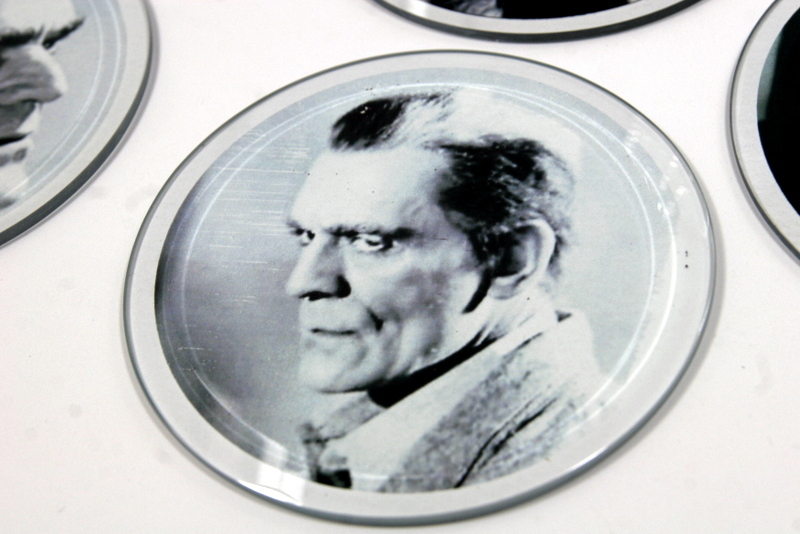 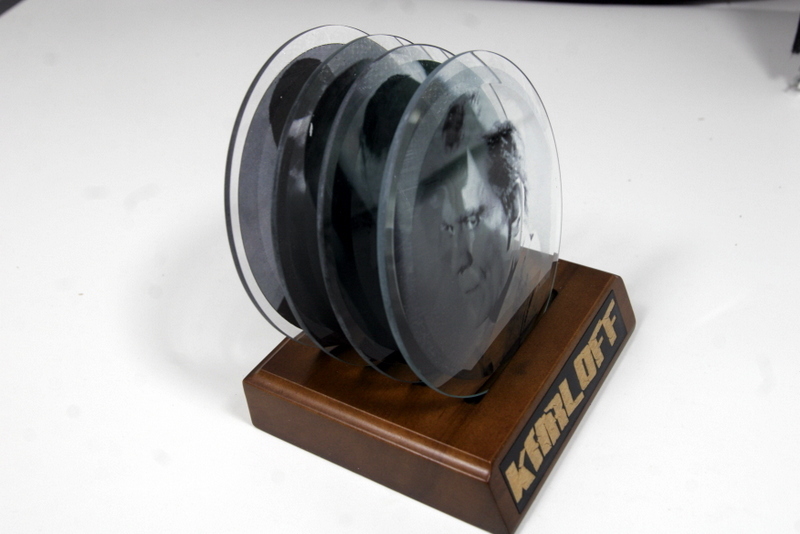 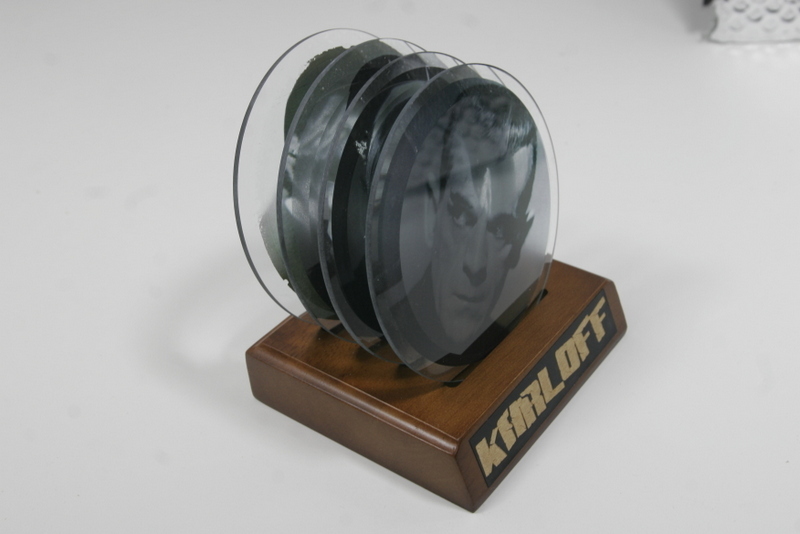 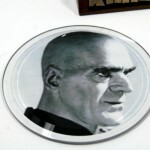 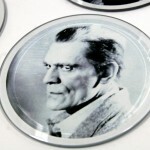 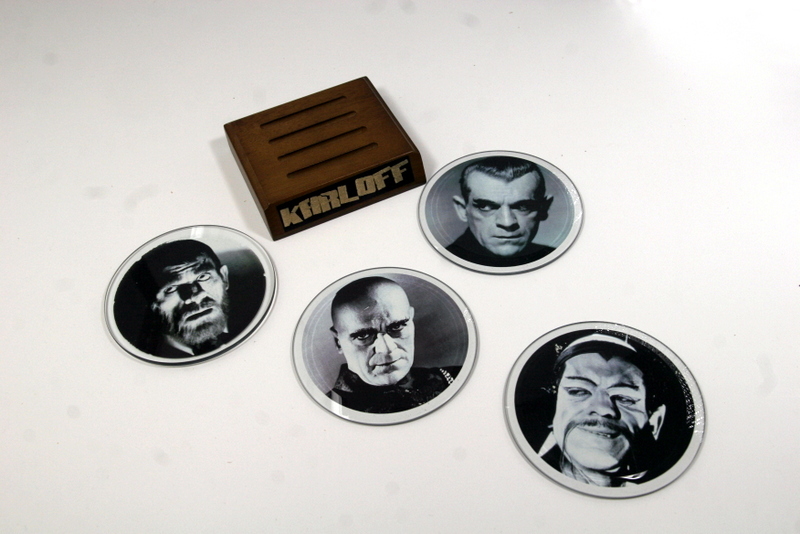 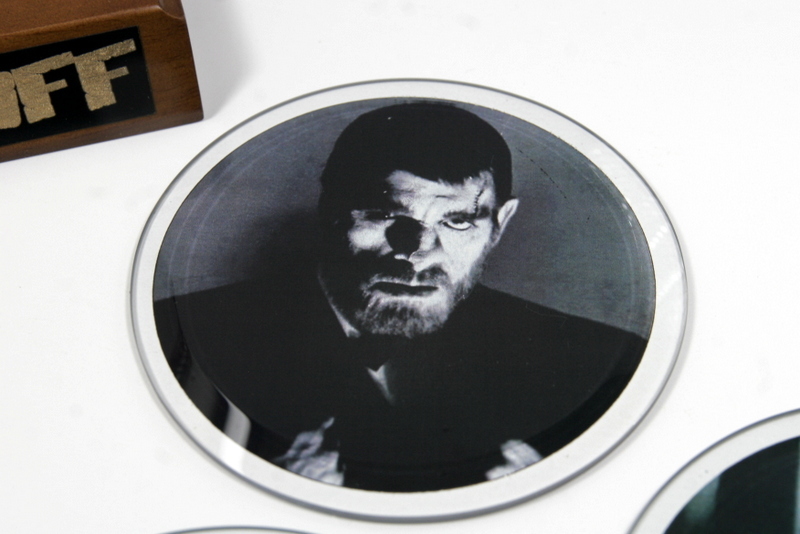 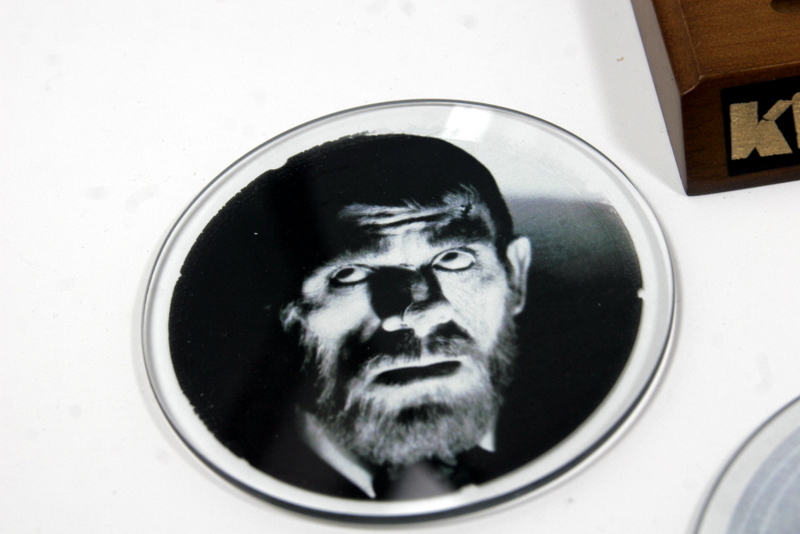 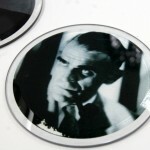 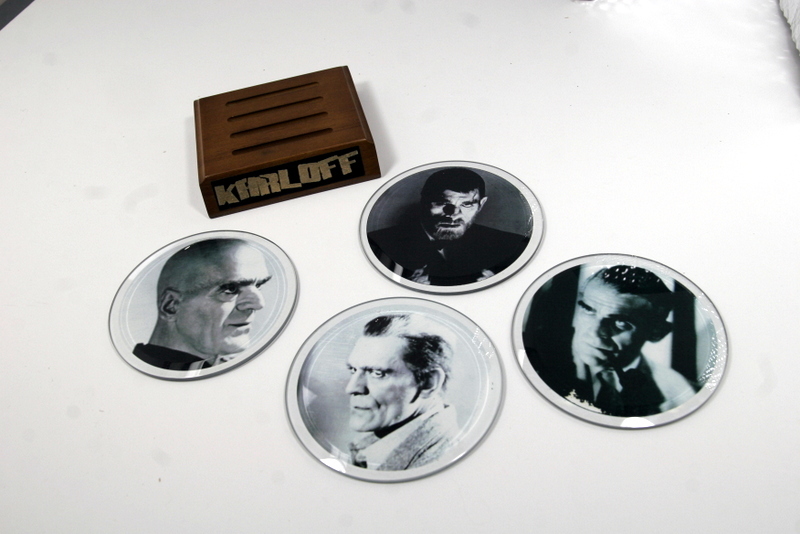 There are two sets of coasters, each set comes with four fine glass coasters, each coaster having a different image of Boris Karloff custom imprinted on each coaster. 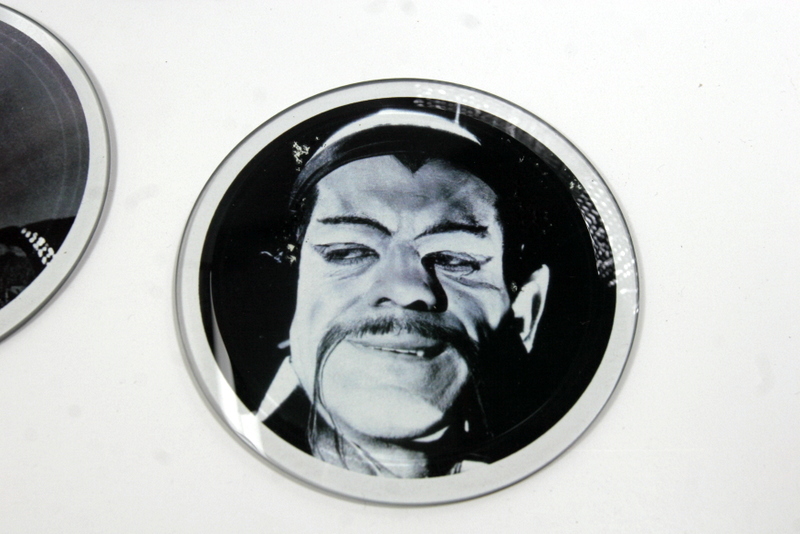 The Coasters are 3/16 thick glass with an 4” outside diameter with bevel to inside diameter for image area of 3.5” approximate. 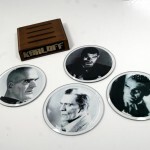 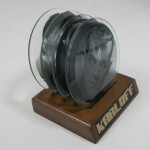 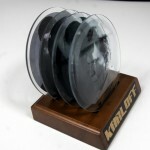 The coasters come with a solid walnut wood base holder measuring 4.125” x 3.73” x 1” with Karloff’s name on each base holder. 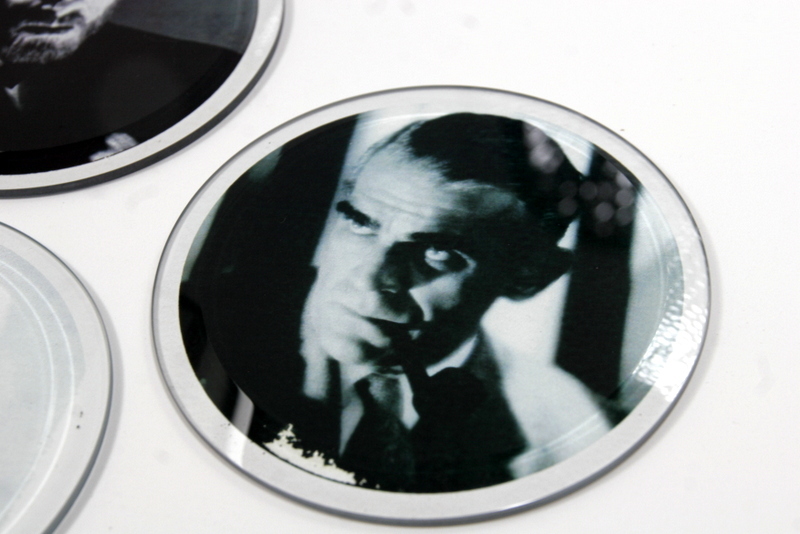 Imprinting done 100% in the U.S.A.